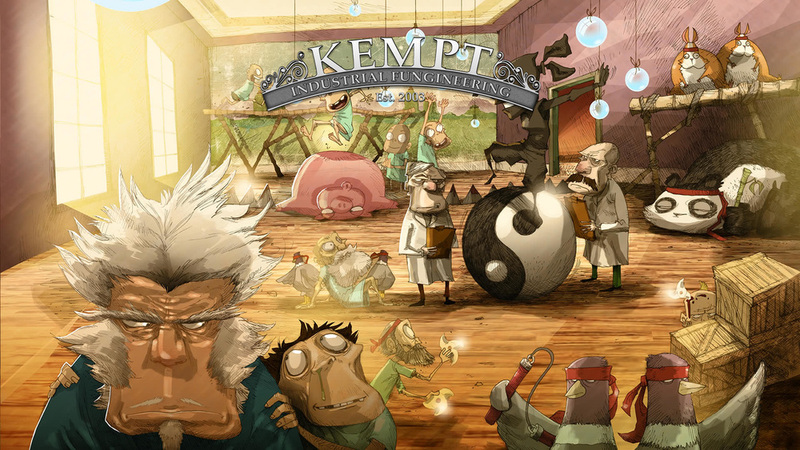 Kempt are an independent games & publishing business who own and operate a substantial catalogue of web sites, online games, mobile games, software and other IPs. We were founded in 2003 and until 2012 we operated as a games studio specialising in games for brands and media companies but then, in 2013, we decided to focus more heavily on the development of our own IP - most notably a series of five mobile games released under the banner 'The Magnificent Stunts'. including the critically acclaimed "Stunt Wheels" - a top-10 racing game in 33 countries. You can read more about our incredible journey on the blog and around the site generally but, today, Kempt as a business is focussed on the maintenance and exploitation of its IP and technology - please do contact us to discuss either. However, thanks to generous support from the RDF and backing from private equity, we've since been able to launch a brand-new games studio "Burke & Best" where most of the former Kempt team now work. Check them out, you're sure to see some common themes!